The Red Sea is a little inlet of seawater that has become the barrier between the continent of Asia and Africa. When I say little, I mean that it merely shares boundaries with 7 different countries – Saudi Arabia and Yemen on the eastern side and Egypt, Sudan, Eritrea and Djibouti on the west. That means, if you choose to head down to this part of the world and spend your holidays in the Red Sea region, you can find some pretty interesting spots to suit your budget. The volatile nature of some of the countries in the region and the lack of development in many parts has resulted in Egypt becoming the most popular destination of choice amongst all the countries that border the Red Sea. Here’s a look at some of those sights that make this region worth a visit. In the 4th century, St. Paul’s monastery was founded by some hermits when they were travelling along the cliffs of Gebel Al-Galala Al-Qibliya. The priest, himself, was born into a wealthy family in Alexandria but fled to the deserts to escape persecution at the hands of the Romans. The monastery has several icons and murals of his life and is a magnificent site that overlooks this beautiful sea. When you reach the 40km milestone along the road to Safaga-Qena, you stand on the brink of what is a journey into one of the most beautiful desert scenes you will ever witness. You take a de-tour of the regular road and head on northwest, with your bearings directed at Mons Claudianus. This place is a symbol of the magnificence of the Roman empire, even though it lies in ruins today. 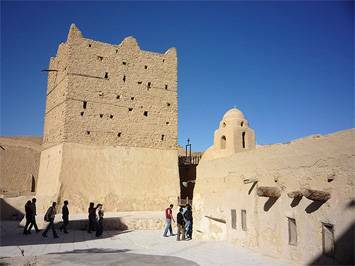 It was one of the largest Roman settlements in the region of the Eastern Desert and was the final place for Roman prisoners to be brought to. The granite mountains would give them plenty of work until their deaths, and is a fantastic historical site today. Egypt is known for its tombs but unlike the tombs of the Pharoahs, the Tomb of Sayyed Al-Shazli is a throwback to the Islamic rulers of this ancient land. It was this 13th century ruler’s wish to die in a land that had not seen sin. During his travels, he reached the River Nile and was laid to rest near the Eastern Desert. Although the tomb isn’t as spectacular as the Pyramids, it certainly has a magical aura of its own, as does everything in this historical wonderland! There are few things as naturally beautiful as the Wadi Gimal, a magnificent canal that brings the Red Sea’s waters into the coastal opening near Marsa Alam. This 85km stretch of water has done a lot more than just bring in a source of water – it has created a whole world of flora and fauna that includes some amazing species of birds as well as gazelles and, of all things, mangrove trees. The area is considered a protected reserve and still has remnants of its days of a source for emeralds and gold for the Egyptian and Roman empires. 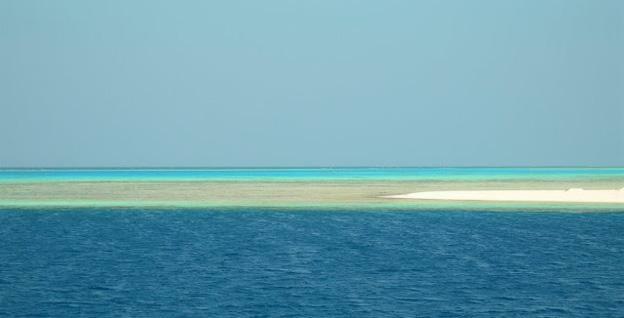 When you are planning to spend your holiday in and around the Red Sea region, you need to choose your destination carefully. While you might be looking plainly for the right kind of budget for your vacation, make sure your trip to a mining camp in Sudan isn’t accompanied by a group of tour-guides with AK-47s. Pick your destination carefully and you could make your holiday as memorable as in any other part of the world. A student of Middle-Easter culture, Minnie has spent a lot of her time in Yemen, Qatar, Oman and Saudi Arabia, trying to experience the life first-hand. With parents who were scared out of their wits in sending their daughter to these countries, some of which have a horrid record for safety, Minnie began referring to this trips as her holidays in the Red Sea region, hoping to alleviate some of that tension. It hasn’t worked yet!